Agnes Walsh is an actor, poet, playwright and storyteller from Newfoundland. She is the author of two volumes of poetry: In the Old Country of My Heart and Going Around with Bachelors. Her poems have been translated into French and Portuguese. She has toured Canada, the eastern United States, Portugal, and Ireland reading from her work. Walsh was also the founder of the Tramore Theatre Troupe on the Cape Shore of Placentia Bay, an ensemble dedicated to preserving and presenting the oral history of that area. The plays she wrote for the troupe have been published in Answer Me Home. 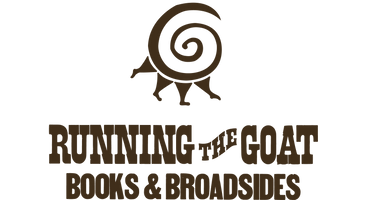 Running the Goat has published her poems "The Tilts, Point Lance" and "Into Town" as limited-edition, letterpress-printed broadsides; in fact, "The Tilts, Point Lance" was RTG's very first publication, and we are still grateful that Agnes gave us leave to learn using her beautiful words. Running the Goat was also commissioned to print a bilingual, limited-edition collection of a selection of her poems celebrating the connection between Newfoundland and Portugal as a legacy project honouring her term as the poet laureate of St. John's.